Wed, Jul 11, 2018, 08:33 pm SL Time, ColomboPage News Desk, Sri Lanka. July 11, Colombo: A U.S. Navy P-8A Poseidon maritime patrol aircraft located a missing fishing vessel on July 10, after joining search efforts at the request of the Sri Lankan Navy, the U.S. Embassy in Colombo said. The vessel was located by an aircraft from the "Pelicans" of Patrol Squadron (VP) 45 assigned to U.S. 7th Fleet and flew out of Naval Support Facility Diego Garcia. "As we continue to explore the operational reach and agility of the P-8A Poseidon, the trust and relationships we build with our multi-national partners becomes more and more apparent in such a complex and broad Indo-Pacific region," said Cmdr. Mark E. Zematis, commander Patrol Squadron 45. "The positive relationship between Sri Lanka and the United States is what allowed our aircrew and maintenance team to effectively launch and assist with the recovery of their countryman." 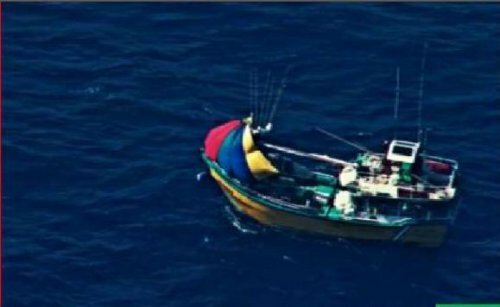 The 40-foot vessel and crew of six went missing the morning of July 8 near Dondra Head, Sri Lanka. A Sri Lankan Navy ship is headed to the location provided by the P-8A along with a commercial vessel nearby to render assistance. 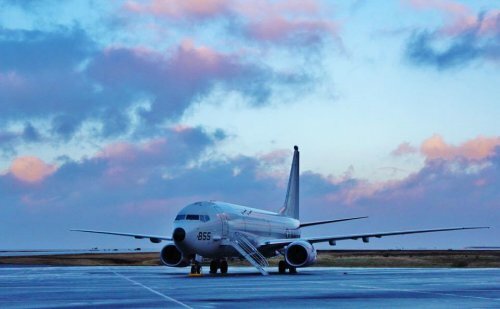 The P-8A is the world's newest, most capable maritime patrol and reconnaissance aircraft and operates regularly throughout the Indo-Pacific in support of regional security and stability. Seventh Fleet, which celebrates its 75th year in 2018, spans more than 124 million square kilometers, stretching from the International Date Line to the India/Pakistan border; and from the Kuril Islands in the North to the Antarctic in the South. Seventh Fleet's area of operation encompasses 36 maritime countries and 50 percent of the world's population with between 50 to 70 U.S. ships and submarines, 140 aircraft, and approximately 20,000 Sailors in the 7th Fleet.